UPLOAD PICTURES OF YOUR SHOES! 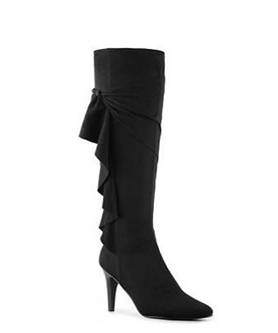 Shoes, shoes, and more Designer shoes is what this site is all about. I, Less, created this website so women everywhere can show-off their personal shoe collection. Yep, your very own favorite shoes, all of them (there's no limit). It's FREE to do and easy. Just register to become a member (it takes 2 seconds) and join in the fun. Plus, you can view other members shoes, leave comments about them (mine also) and rate them too. And remember it's FREE to do. So, come on already, run to your closet and let's get started 'cause It's a Shoe Thang! I know what you're thinking and yes, it's another pair from Impo but...just look at them. Impo has done it again with this to-the-knee beauty called Telly. Just check out the frilly ruffle that cascades down Telly's side, that's attached with a cute gunmatel detail. The stretchy faux suede upper and 3 1/4-inch heel height makes this beautiful boot a special addition to any shoe Queen's closet. And it comes in red too, run to DSW to get yours now. Shoes of the Week: currently not rated - be the first! Less: I want them, I love them, I want them, I love them! Not yet a member? Sign-up now using our quick member registration form. Check out the latest tips of where the best shoe sales are happening. Do you know of a great shoe sale? Let everyone know! Which designer do you think did it better? 52% like this thing! 48% like that thang! EOTechoqf, our newest member, just confessed their shoe addiction by joining our community :) Thanks for registering! Malaareda, our newest member, just confessed their shoe addiction by joining our community :) Thanks for registering! Airblademlx, our newest member, just confessed their shoe addiction by joining our community :) Thanks for registering! CHIRPhwx, our newest member, just confessed their shoe addiction by joining our community :) Thanks for registering! Keypadawgm, our newest member, just confessed their shoe addiction by joining our community :) Thanks for registering! Sightqmk, our newest member, just confessed their shoe addiction by joining our community :) Thanks for registering! Sightklg, our newest member, just confessed their shoe addiction by joining our community :) Thanks for registering! Glassbfv, our newest member, just confessed their shoe addiction by joining our community :) Thanks for registering! Blenderenf, our newest member, just confessed their shoe addiction by joining our community :) Thanks for registering! Humminbirdlzp, our newest member, just confessed their shoe addiction by joining our community :) Thanks for registering! Flexiblenyn, our newest member, just confessed their shoe addiction by joining our community :) Thanks for registering! Alex35, our newest member, just confessed their shoe addiction by joining our community :) Thanks for registering! EOTechctz, our newest member, just confessed their shoe addiction by joining our community :) Thanks for registering! Bluetoothvva, our newest member, just confessed their shoe addiction by joining our community :) Thanks for registering! Epiphonemlr, our newest member, just confessed their shoe addiction by joining our community :) Thanks for registering! Haywarddpv, our newest member, just confessed their shoe addiction by joining our community :) Thanks for registering! Plasticjzq, our newest member, just confessed their shoe addiction by joining our community :) Thanks for registering! Humminbirdela, our newest member, just confessed their shoe addiction by joining our community :) Thanks for registering! Augustxkl, our newest member, just confessed their shoe addiction by joining our community :) Thanks for registering! Sprinklerkkd, our newest member, just confessed their shoe addiction by joining our community :) Thanks for registering! Sunburstmpl, our newest member, just confessed their shoe addiction by joining our community :) Thanks for registering! Milwaukeegjk, our newest member, just confessed their shoe addiction by joining our community :) Thanks for registering! Holographicwak, our newest member, just confessed their shoe addiction by joining our community :) Thanks for registering! Juicergvn, our newest member, just confessed their shoe addiction by joining our community :) Thanks for registering! Professionaluth, our newest member, just confessed their shoe addiction by joining our community :) Thanks for registering! IrvingNox, our newest member, just confessed their shoe addiction by joining our community :) Thanks for registering! Annotationsrfw, our newest member, just confessed their shoe addiction by joining our community :) Thanks for registering! Incipiogqy, our newest member, just confessed their shoe addiction by joining our community :) Thanks for registering! Feederpof, our newest member, just confessed their shoe addiction by joining our community :) Thanks for registering! Infraredmbu, our newest member, just confessed their shoe addiction by joining our community :) Thanks for registering! Epiphoneqbv, our newest member, just confessed their shoe addiction by joining our community :) Thanks for registering! Annotationseev, our newest member, just confessed their shoe addiction by joining our community :) Thanks for registering! Vitamixzqv, our newest member, just confessed their shoe addiction by joining our community :) Thanks for registering! Keypadatfx, our newest member, just confessed their shoe addiction by joining our community :) Thanks for registering! 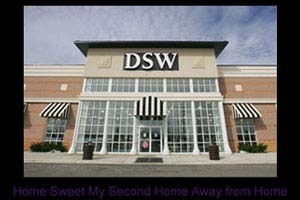 Drywallhyn, our newest member, just confessed their shoe addiction by joining our community :) Thanks for registering! Amazonnnhsb, our newest member, just confessed their shoe addiction by joining our community :) Thanks for registering! Airbladeuor, our newest member, just confessed their shoe addiction by joining our community :) Thanks for registering! Incipioejo, our newest member, just confessed their shoe addiction by joining our community :) Thanks for registering! Leupoldwxc, our newest member, just confessed their shoe addiction by joining our community :) Thanks for registering! Holographicpjj, our newest member, just confessed their shoe addiction by joining our community :) Thanks for registering! Extractionrsn, our newest member, just confessed their shoe addiction by joining our community :) Thanks for registering! Cutterbbo, our newest member, just confessed their shoe addiction by joining our community :) Thanks for registering! Dysonqqq, our newest member, just confessed their shoe addiction by joining our community :) Thanks for registering! Edelbrockelp, our newest member, just confessed their shoe addiction by joining our community :) Thanks for registering! Superchipsnvg, our newest member, just confessed their shoe addiction by joining our community :) Thanks for registering!